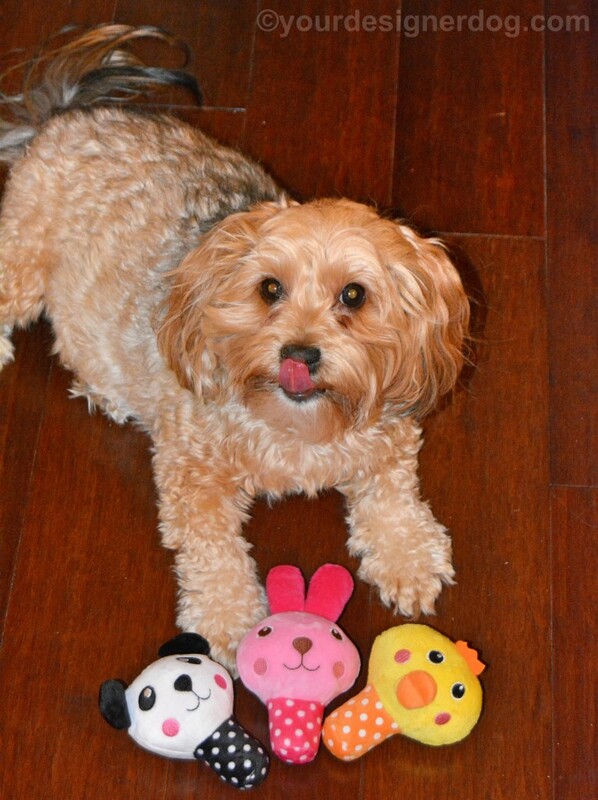 Sadie is hanging out with some of her squeaky toy friends. 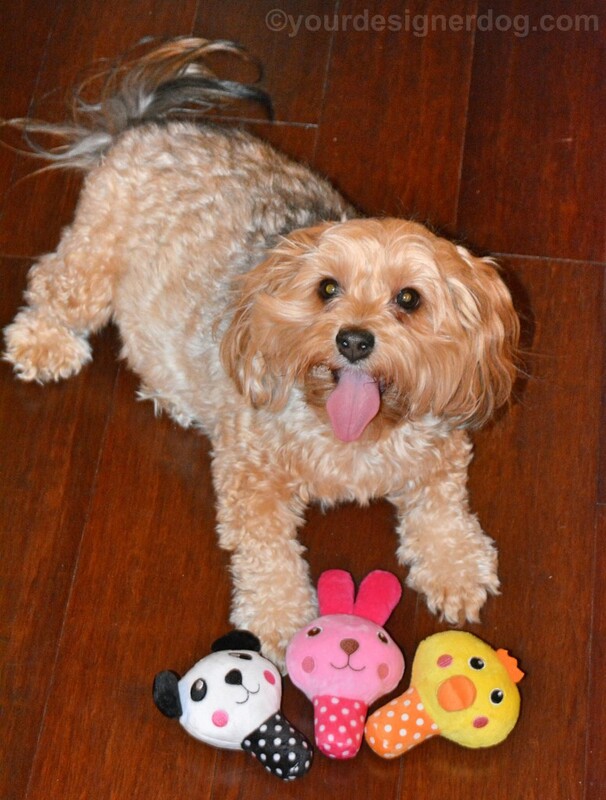 She doesn’t actually play with these kinds of toys – not like her beloved squeaky soccer balls, but she does enjoy having these toys around. They work as the occasional pillow and they fit nicely in your mouth when you want to bring a toy when greeting a friend. 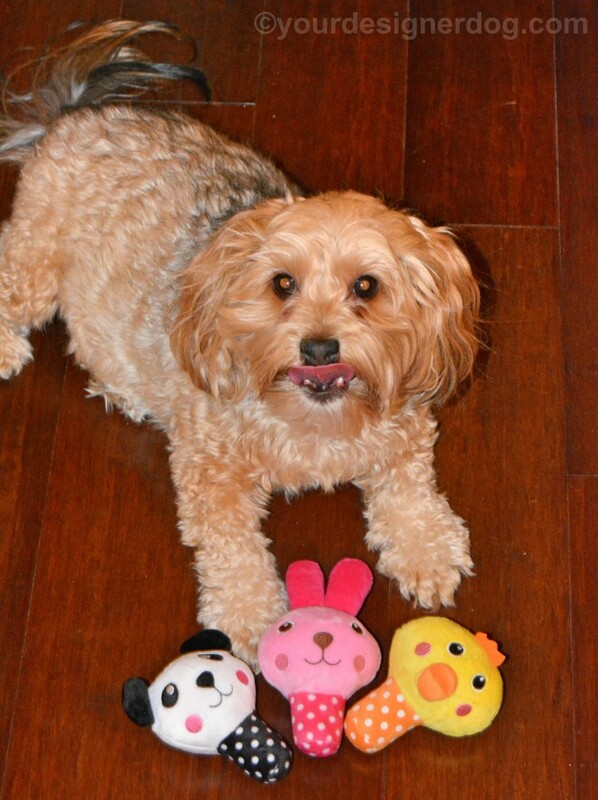 This post is part of the Pet Photo Challenge hosted by Six Legs Are Better Than Two. «Time to Check Your Clocks!